The Moscow City Court has confirmed the 3.5 years suspended sentence for Aleksey Navalny rejecting appeals by defense and prosecution alike. However, the city court canceled the earlier ruling that ordered Aleksey Navalny to pay a 500,000-ruble (about $8000) fine. The ruling was passed on Tuesday after the court considered appeals within the so-called ‘Yves Rocher Case’. The initial sentence in this case was passed by a district court in late December, and according to it the prominent anti-corruption blogger-turned opposition activist, Aleksey Navalny, was given a suspended 3.5 year sentence. Navalny’s brother Oleg got 3.5 years in prison. Both brothers were convicted of embezzling over $500,000 from cosmetics company Yves Rocher. Several Yves Rocher executives claimed that the activist and his brother, a senior manager in a subsidiary of the state enterprise Russian Post – tricked them into signing a transportation contract with Oleg Navalny’s own company at inflated prices. Prosecutors have filed an appeal saying the sentence was too soft and both convicted men must be isolated from the community. They asked the court to sentence Aleksey Navalny to 10 years in prison and Oleg Navalny to eight years. The basis of the request is that Aleksey Navalny had earlier been convicted in a corruption case. In mid-2013, the activist was given another five-year probation sentence for taking part in a graft scheme involving Kirovles, a state-owned timber company. The defense insists that both brothers are innocent and demand their full acquittal. According to the Navalnys’ lawyers, their scheme is nothing more than an ordinary middleman’s business. Also, Aleksey Navalny has repeatedly said that criminal cases against him, his brother and his allies were part of a revenge campaign by Russian authorities for his uncompromising struggle against corruption. Various officials have repeatedly dismissed these claims, saying that opposition activities do not automatically make people immune from prosecution. 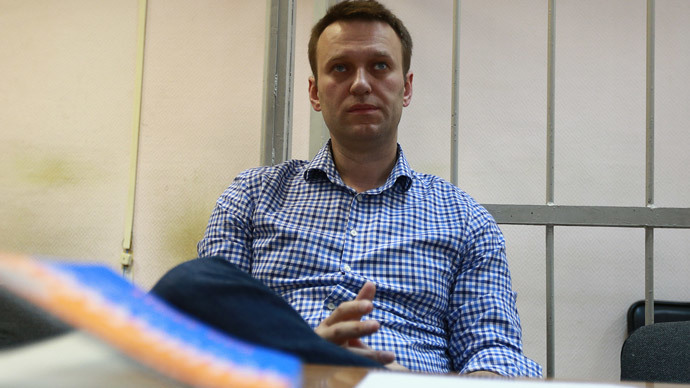 The sentence handed down to the Navalny brothers comes into force on Tuesday.